Traditional Indian School of Thought called Samkhya Doctrine proposes Soul – Body Dualism or separation of Body and its Soul. In my view, this Theory has no merit and has no validity. Samkhya Theory of Soul has no practical application in real World. Science does not speak about Soul or Spirit. It does not mean that Science endorses Soul – Body Dualism. Science provides information that disproves separation of Man into Body, Mind, and Soul. Indian School of Thought called DVAITA founded by Madhva explains the reasons for Soul – Matter Dualism. But, that separation or distinction is not applicable to Living Body or Living Things in which Soul represents the Vital, Animating, Life Principle. I can verify Soul vs Inanimate Matter Dualism. To the same extent, I reject Soul – Mind Dualism or Cartesian Dualism. Shankara, Ramanuja, and Madhva invested their time to discuss about Soul and God without verifying basis for Human Existence in Natural World. It appears that they did not attach much importance to Samkhya Doctrine and formulated their own Doctrines of Advaita, Visishtadvaita, and Dvaita. Samkhya appears in The Bhagavad Gita, Chapter II, but the Doctrine gets discredited in other Chapters. It may be correct to mention various parts of body and give names to different organs. But, the entire human organism is derived from Single, Fertilized Egg Cell. 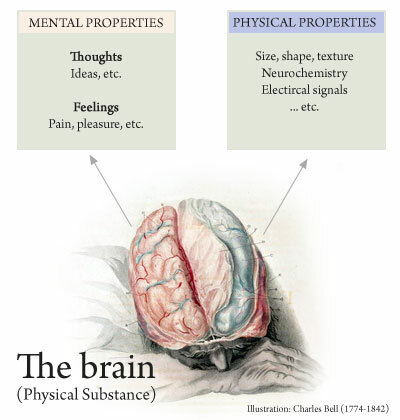 The anatomical organ called Brain is simply a part of Human Body and has no separate existence. At least, organs like Heart, Lungs, Kidneys, Liver, etc., can be transplanted into other Human Bodies. Brain cannot be separated from Body. I ask my readers to provide the reasoning used in support of whatever Doctrine they believe. For purposes of discussion, I ask my readers to state their position in clear, concise terms. For example, we have three major Schools of Indian Thought founded by Shankara, Ramanuja, and Madhva and all three of them agree about Three Primary Orders; 1. God, 2. Soul, and 3. Matter. Shankara claims that Matter including Human Body is Unreal and God and Soul are the same or completely identical. Ramanuja admits the reality of Matter and states Soul and Matter are Body of God and have no independent existence of their own and hence modify God. Madhva makes five, fundamental distinctions and claims Soul and Soul are different, Soul and God are different, Souls and Matter are different, and Matter and Matter are different. I have to ascertain my reader’s position and not reader’s interpretation of Gurbani, Bhagavad Gita, or Sri. Aurobindo, or Theosophy. It may be of interest to my readers to know my birthplace as Mylapore, Madras. I visited International Theosophical Society, Adyar, Madras while I grew up in Madras. The Founder, Colonel Henry Steel Olcott is known to folks of my native place called Rajahmundry. Ms. Annie Besant of Theosophical Society visited Rajahmundry and founded a place of worship called ‘Divya Gyan Samaj'( Assembly For Divine Wisdom). The residential subdivision where this place of worship is located is named in honor of Colonel Olcott as Olcott Gardens or Alcot Gardens. I support Sankara’s view in terms of Unity and not that of Identity. I support Ramanuja’s view of Matter and Soul modifying God, and to the same extent claim that Soul which resides in Human Body gets modified by Body and Mind to establish Unity between God, Soul, Mind, and Body. Matter, and Prakriti are still distinct from God, Soul, Mind, and Body. In fact, to formulate Living Matter and Living Things, God designed mechanisms for Energy Acquisition, Energy Exploitation, and Energy Transformation. All Living Things exploit Matter and Energy found in their external environment. I again ask my readers to state positions using terms like God, Soul, and Matter to account for their interactions in Daily Life. Spirituality Science – Soul vs Body Dualism and Mind vs Body Dualism. Mental Functions need constant support from Body for Mind has no independent existence of its own. Firstly, there is no Mind that has independent existence of its own. Mind and Body are always united for both parts are derived from Single, Fertilized Egg Cell. Secondly, this discussion about Soul or Spirit, Life and Living makes Fundamental Distinction or Dualism called Living vs Nonliving, Animate vs Inanimate, and Sensible vs Insensible. If there is no distinction between Matter and Matter, there is no need to discuss about Soul or Spirit. Spirituality Science – Soul vs Body Dualism. Chemical Molecules or Biomolecules of Life. The distinction between Living Matter and Nonliving Matter is based upon prevalence of certain chemical molecules like Nucleic Acids which are only associated with Living and not found in Matter present in places outside Earth. Man uses these Chemical Compounds to find traces of Life in places like Moon or Mars. If Soul or Spirit is unchanging, immortal, or everlasting, it remains the same now, in the past, and in future. So let us talk about Soul or Spirit in relationship with Matter that exists today and that can be verified today. The discovery of Viruses accounts for the basic difference between Living and Nonliving for Virus needs a Living Host to demonstrate its ability to perform Living Functions such as Replication. Spirituality Science – Soul vs Body Dualism. What is Life? What is Living? I ask my readers to come to better understanding of Life and Living as Life exists on planet Earth without any human intervention. The use of terms and statements in respect of Life and Living have to be supported by verified information provided by Natural Sciences. For example, Life and Living precede invention of phrases like “Akshara Purush”, “Akal Purakh”, and “Karta Purakh.” All said and done, Gautama Buddha, Jesus, Prophet Mohammed, Guru Nanak lived their mortal lives on Earth during the most recent Geological Time called Holocene Epoch or the Present Time. While Theology and Philosophy offer varied understanding of Man, Science offers information that is of practical use to all human beings without taking into account their religion, race, culture, and language. I served people of different religious faiths and nationalities for there is an understanding of Man that is verified. Soul or Spirit, when viewed as Unchanging or Immutable Life Principle, does not support Theory of Evolution. For that reason, I ask readers to reconsider using phrases like “Evolving” Soul or Spirit. Sri. Aurobindo makes a variety of statements without validating any of his claims. Spirituality Science – Soul vs Body Dualism. What is Life? What is Living? Living is experienced only on planet Earth. When we discuss terms like ‘Transcendent’ during our conversation about Life and Living, it important to identify the Domain or Realm. All living things have well-defined domains in Nature called Natural Habitats. Earth is Life’s Natural Domain and all Phenomena are experienced on Earth. 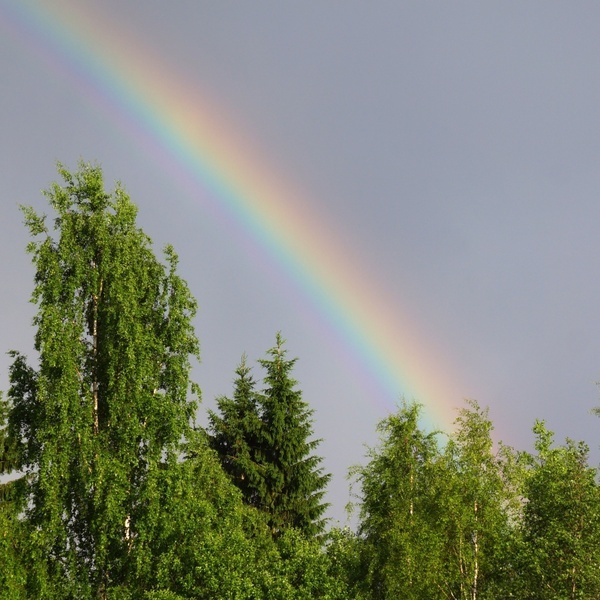 For example, Man can experience Natural Phenomenon of Rainbow only on planet Earth and nowhere else. For that reason, we have to make distinction between Natural Domain/Realm and Supernatural Realm/Domain. Moon, all other planets, Sun, Stars, and Galaxies belong to Supernatural Domain/Realm. The events experienced on Sun cannot be experienced on Earth. Sunrise and Sunset experienced on Earth cannot be experienced on other planets for all of them have different rotational and spin characteristics.